For most people, the first Saturday after the New Year is a chance to finally put the holiday indulgences of the past couple months in the rearview and rededicate oneself to all those strict new 2018 diet and exercise goals. It’s not, in other words, the day most would seize as a prime opportunity to go ham on a big plate of Eggs Benedict, or to crush an entire sterling silver caterers’ tray full of heavy-pour mimosas. Then again, most folks (perhaps sadly) are not 2018 Film Independent Spirit Award nominees. On January 6, Film Independent’s annual Spirit Award Nominee Brunch and grant award presentation returns to West Hollywood. And while free food, booze and celebrity schmoozing is all well and good, the real purpose of the brunch each year is to celebrate the many disparate and diverse storytellers who have worked so hard to make the past year in independent film so exceptional. 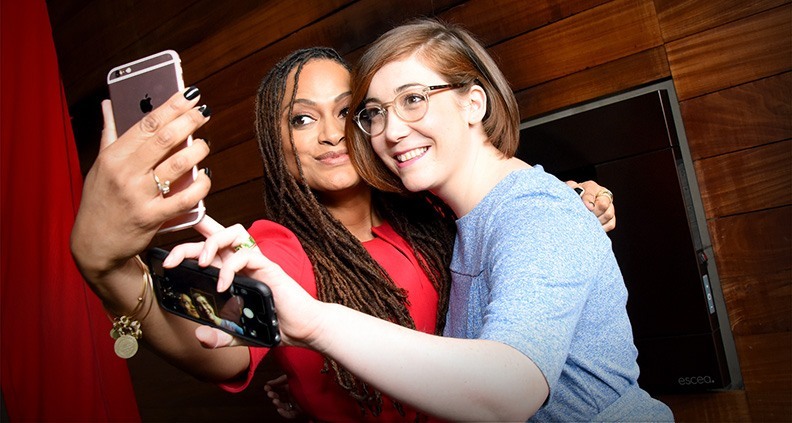 And what would a Spirit Awards brunch be without actual Spirit Awards? The winners of five cash grants totaling a whopping $150,000 will also be announced, presented by none other than 2018 brunch hosts John Cho and Alia Shawkat. This year’s grant awards include the Jeep Truer Than Fiction Award, the Kiehl’s Someone to Watch Award, the Piaget Producers Award and the inaugural Seattle Story Award, sponsored by Visit Seattle. 2018 also marks the debut of the Bonnie Award sponsored by American Airlines, recognizing a mid-career filmmaker with a $50,000 unrestricted grant. “We’re clearly at an urgent moment for addressing gender inequities in filmmaking, and this grant is one way Film Independent can do just that,” said Welsh of the Bonnie Award. You Know Him: From his uniformly excellent, wide-ranging performances across a diverse set of projects. In 2017, Cho starred in acclaimed video essayist Kogonada’s feature debut Columbus, currently nominated for three Spirit Awards including Best First Feature, Best First Screenplay and Best Editing. Cho first appeared in 1999’s American Pie and later starred as the “Harold” half of the cult classic Harold and Kumar Go to White Castle. Cho has also appeared as the iconic character “Sulu” in J.J. Abrams’ Star Trek reboot and its two sequels. His other credits include Identity Thief, Total Recall, Better Luck Tomorrow and Steven Soderbergh’s Solaris, among myriad others. You Will Know Him: As the star of filmmaker David Kim’s upcoming technological thriller Search, which will premiere at the Sundance Film Festival in January, also starring Debra Messing, and from his continuing role as “Andrew Kim” on the Fox horror series, The Exorcist. You Know Her: As “Dory” on Season Two of the hit TBS comedy-mystery hybrid Search Party, easily one of the most addictive shows of the entire Peak TV era, and from a recurring role on the latest season of Amazon’s Transparent. 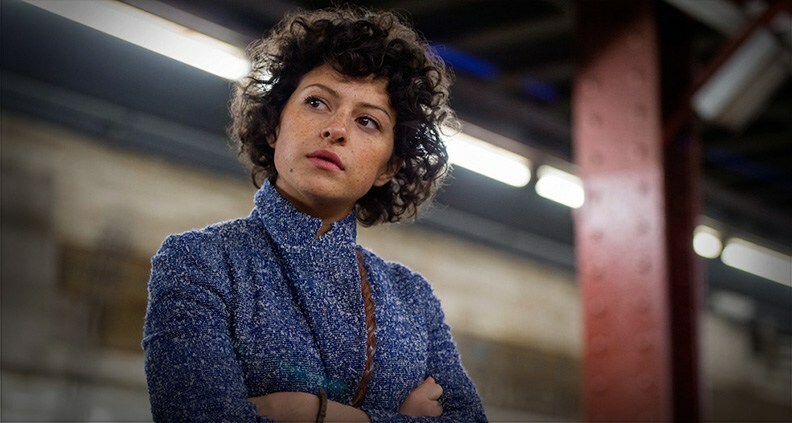 Shawkat first captured viewers’ attention as wise-beyond-her-years “Maeby Funke” on Arrested Development and has appeared in a wide variety of projects ever since, including The Intervention, 20th Century Women and the 2016 thriller Green Room. Her TV appearances include Drunk History, Portlandia, Broad City and Getting On. You Will Know Her: From the upcoming indie Duck Butter, which she co-wrote with Beatriz at Dinner filmmaker Miguel Arteta and produced by Arteta and the Duplass Brothers. She’ll also appear in the upcoming biopic Blaze, about life of country music singer Blaze Foley. The film will premiere at Sundance in January. The 2018 Film Independent Spirit Awards happen Saturday, March 3 on the beach in Santa Monica and will be broadcast live on IFC at 2p/5e with returning hosts Nick Kroll and John Mulaney. For a complete list of nominees, just click here. Please subscribe to our YouTube channel and follow Film Independent on Twitter, Facebook and Instagram to keep up with all of the latest updates before, during and after the show itself.